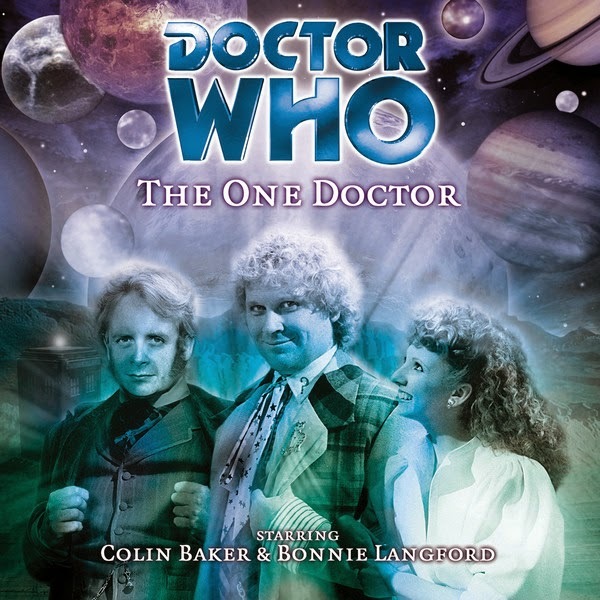 Where To Start With Big Finish: The Sixth Doctor | Warped Factor - Words in the Key of Geek. Tony Fyler dons his coat of many colours. The Sixth Doctor has long been heralded as the big success of the Big Finish audio world. Whether that’s just a joyful rebuttal of the verdict on his TV stories, or whether he really does outshine all other Doctors in the audio environment is a matter for individual Whovians to settle to their own satisfaction. One thing is objectively true though – there are some cracking Sixth Doctor stories on audio. Check out this handful, then explore the rest of his range. The first part of a loose Cyber-trilogy, this is a story that Peri fans were curious to see played out almost from the moment she left Lanzarote for the wider universe. This is the story of what happens when Peri goes home, to confront her mother and her friends with where she’s been – they haven’t known where she is for over a year. We meet Peri’s mother, her friends, and of course the Cybermen in a truly creepy story that could have been delivered on screen with a squirm-inducing realism. Cyberzombies, a kind of conversion-cull in small-town America and the horrifying aftermath of Cyber-activity blend with real human emotional moments that catch at the throat as the story takes in fathers and sons, mothers and daughters, and shows how having to fight her corner with the Sixth Doctor has matured Peri into having the courage to speak her mind and acknowledge reality in a way she never could have done, back when all we knew about her was her choice in swimwear. At some points, this is not an easy listen. At all points though, it’s a gripping one. 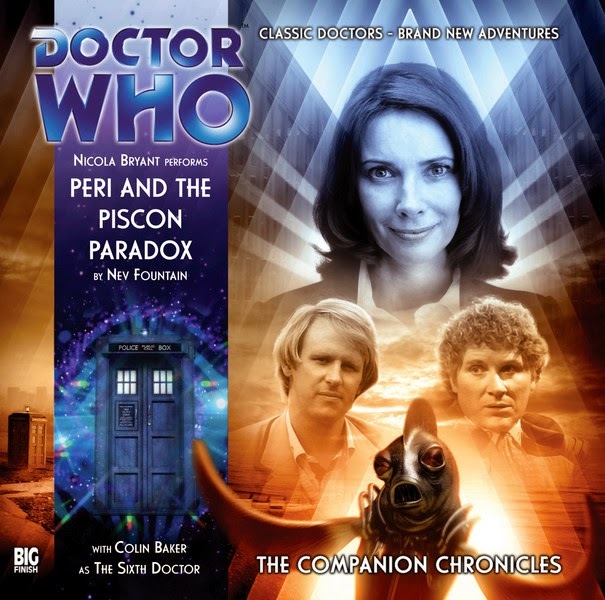 Sticking with Peri and the ability of audio to deliver punch-in-the-stomach moments, you have to check out Peri and the Piscon Paradox. Now let’s be clear: for most of its length, this is deliciously comedic and full-throttle. It’s a multi-Doctor story, but much more than that, it’s a multi-Peri story, the young, gauche botany student meeting up with her seemingly more hard-bitten, cynical older self, who hosts a chat show. There’s an explanation of the multi-dimensional theory of Peri, where she was both killed by the Time Lords and went off with Yrcanos, and did a lot more besides, which is more than a little trippy, and there’s a delicious, good-humoured dig at the budget of 80s Who monster-designers – trust me, you won’t fail to spot it when it comes. And all this is jolly and lovely and jaunty and then bang! The Piscon Paradox hits you full in the face with a moment of horror. A moment of absolute, consuming human horror, written exquisitely by Nev Fountain (Nicola Bryant’s partner), and played by Bryant, absolutely dead on the money. If you get only the one Peri audio story – get this one. It’ll change how you think of the character forever. The Sixth and Eighth Doctors frequently seem to be vying for ‘who can have the most companions.’ In fact of course they even share a companion, in India Fisher’s Edwardian Adventuress, Charley Pollard (annnnnd a thousand fan fiction writers punch the air). But Colin Baker has said that the Sixth Doctor’s ultimate companion was Dr Evelyn Smythe, history lecturer, older woman, and the conscience the Doctor sometimes needs. Evelyn deals well with most situations, being more inclined to get stuck into wherever the Doctor lands them than some companions, and never afraid to cross opinions with the otherwise argumentative Sixth Doctor. 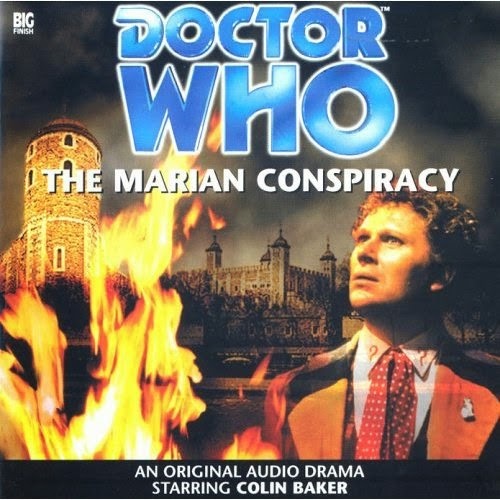 The Marian Conspiracy is her origin story, and within the first few minutes, she’s put her rational first reaction – ‘The man’s a lunatic’ – to one side and gone off with the Doctor to investigate the role of her own ancestors in the court of Elizabeth I. Where some younger, less self-assured companions might stick to the Doctor like glue in this situation, Evelyn arranges a rendez-vous point, then goes off to experience Elizabethan low-life for herself, besting scumbags with the authority of the First Romana, but with a much warmer, more experience-friendly air. Evelyn Smythe is a legend in Big Finish companion circles – check out The Marian Conspiracy to see how she began. We’ve spoken before about the great freedom of audio to tell the stories that your fan-imagination has already conjured up, but which never had the chance to make it to the screen. 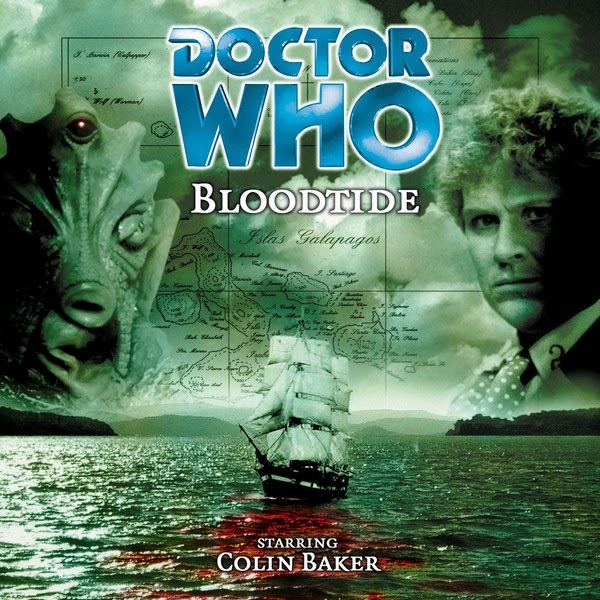 Bloodtide is most definitely one of those – the Doctor and Evelyn meet Charles Darwin on his Beagle voyage, and encounter a rogue faction of awakened Silurians, aiming to undo the mistake of their alarm clocks and wipe the ape-descended primitives off the planet they consider their own. The Silurians, like the Ice Warriors, have always had a duality about them – nobility and threat - but unlike their Martian cousins, they’ve always been hampered by their backstory (all credit to the TV show for finding a second Silurian story in Dinosaurs on a Spaceship, because until then, the story had remained the same for them). The story is mostly the same in Bloodtide, though it does have a rather more personal dimension than any of the other Silurian stories. But if you’ve ever wanted to slam the Silurians and Darwin together in a story and see what happened (and who among us hasn’t, really? ), Bloodtide’s a must-listen. Like Bloodtide, this is a story that you could only dream of. 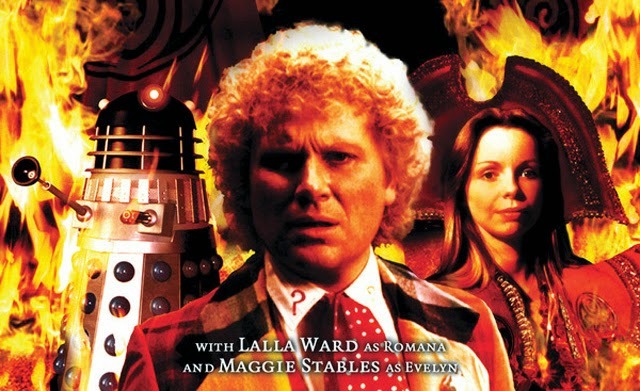 The Sixth Doctor and Evelyn go to Gallifrey, to deal with an incipient and largely successful pre-Time War Dalek invasion, teaming up with Lord President Romana in the process. It’s a delicious idea, combining the Sixth Doctor with the Second Romana, and especially giving him a properly Gallifrey-based story, allowing him to stride around the Capitol like he owns the place. There’s also some seriously impressive face-off dialogue between the Doctor and the Daleks, and an almost impossible, heartbreaking decision that the Doctor is forced to make – he’s made them before, but relatively rarely have they felt this big and personal, the pain audible across Baker’s vocal range. Evelyn too, in an early adventure for her, more than acquits herself, in a sort of Miss Marple-meets-Leela (no, not literally – Jameson is sadly absent from the story) style as she plays a crucial role in repelling the Dalek force. 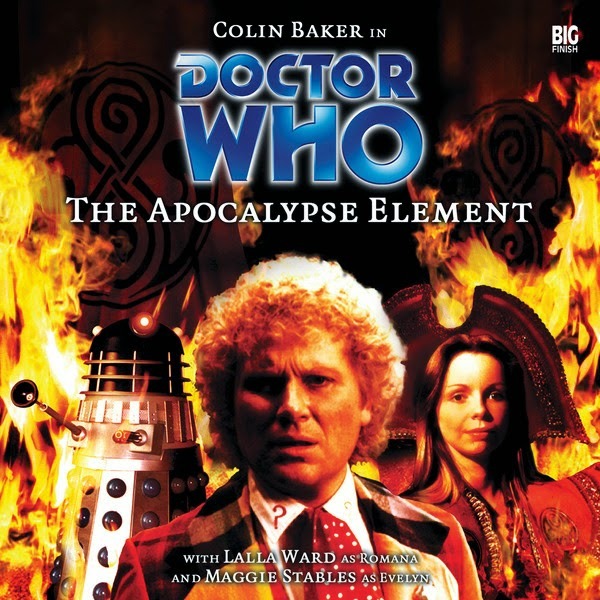 A great rollercoaster of a story, The Apocalypse Element is a trial by fire for both the Sixth Doctor and his professorial companion. You can’t have a list of Sixth Doctor stories without mentioning the great strides forward in the characterization of one of the lightest TV companions, Melanie Bush. In The One Doctor, she’s teamed up, not with Old Sixie but with a fantastic con-man who’s pretending to be the Doctor for fun and more importantly profit, played deliciously by Christopher Biggins at his most acerbic. Mel’s ‘memory like an elephant’ and to some extent her computer engineering skills – often-mentioned and barely ever used on TV – are crucial in the avoidance of disaster, while the Sixth Doctor himself sorts out another part of a giant puzzle to stave off the same apocalypse, and makes plans to compel the Biggins-Doctor to reform. More Mel, more Multi-Doctoring, but here, as if stretching the concept almost to breaking point, there are two versions of the Sixth Doctor working together – the paint-factory-explosion-coated version from the TV and initial meeting with Mel, and the more mature, blue-costumed, later Big Finish version, allowing Baker to show a great subtlety in his performances, and the arc that time and a chance to shine has given the Sixth Doctor. This story’s another strong one for Mel too, which is always good, given her relative character-vacuum during her on screen life. So sue me – like my fellow contributor, Wil, I’m a fan of Frobisher, the shape-changing alien detective from the 80s comic strips who, a little embarrassingly, is currently stuck in the shape of a penguin (Remember when your parents warned you if you kept pulling funny faces, the wind would change and you’d be stuck like that? Imagine the lecture from a shape-changer’s parents). 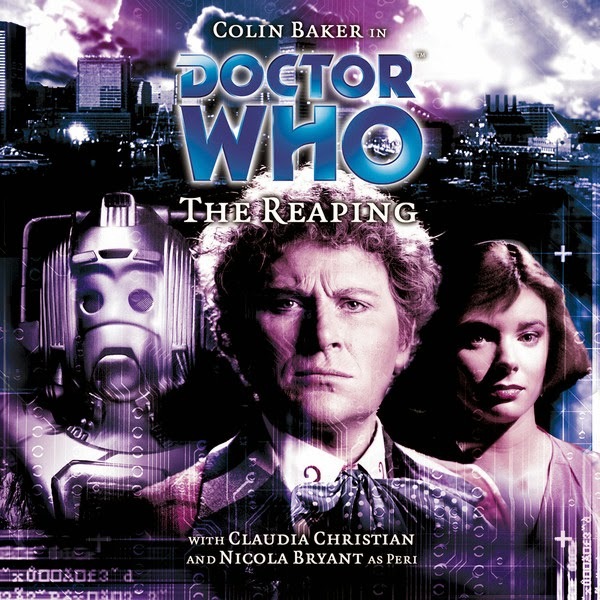 The Holy Terror reunites the Sixth Doctor and Frobisher in audio, but more than that, it’s a gory, ghastly, horrifying exploration of the power of belief, the nature of punishment, the weight of responsibility, and why God, if it ever existed, is probably dead. The Holy Terror is much more than a gimmicky story about the Sixth Doctor and a penguin. Give it a go, and join Wil and me on the Frobisher bandwagon. 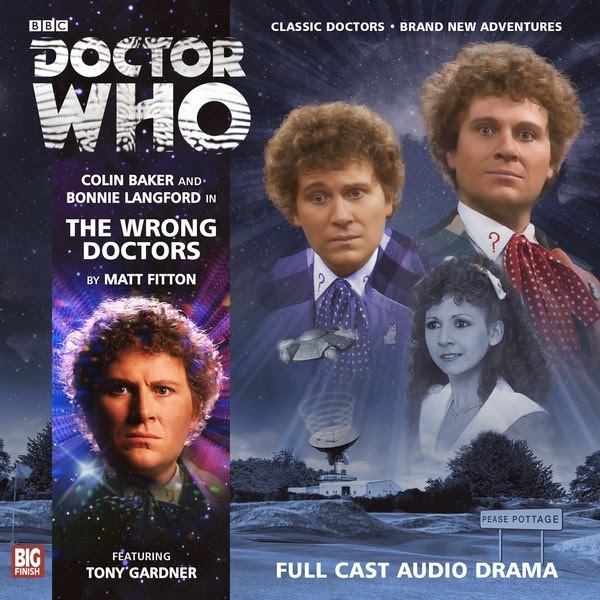 There are plenty more fantastic Sixth Doctor stories on Big Finish audio – as ever, feel free to add your recommendations in the comments – but this handful gives something of the flavor of his journey through the audio universe. Jump on board Old Sixie’s Tardis now and never look back.